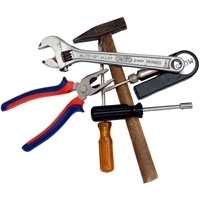 Belmont carries a huge selection of hand tools for every trade and task. Ensure proper bolt tension with our selection of micrometer torque wrenches.Â For precision measuring, look to our selection of laser levels,Â tape measures and measuring wheels. We stock hundreds of cutting tools like bolt cutters, wire strippers and multi-purpose utility knives.Â Shop at Belmont and get all the hand tools you need in one place.